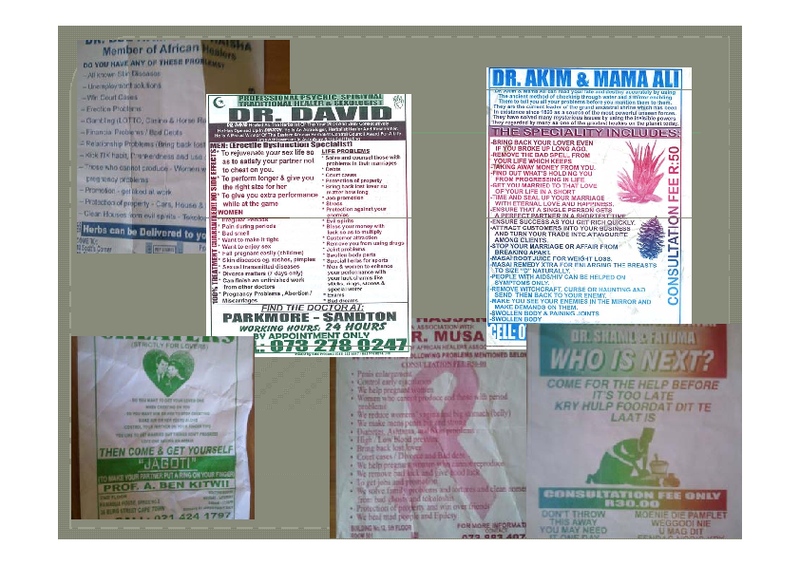 Published: June 13, 2011, 12:08 p.m., Last updated: June 13, 2011, 12:54 p.m.
Francois Venter is the President of the Southern African HIV Clinicians Society and a fan of Quackdown. Last week he opened the South African AIDS Conference and described the problems quackery causes for HIV-positive patients. He dealt particularly with those quack pamphlets that are handed out in the main streets of the country's major cities. 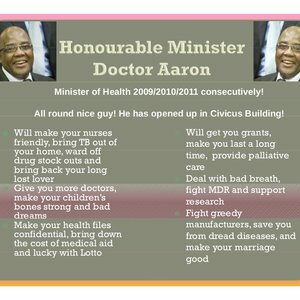 Francois however has come up with a brilliant solution: a counter-pamphlet espousing the virtues of Health Minister Aaron Motsoaledi. Dr Aaron: Scientific medicine's answer to quack doctors.